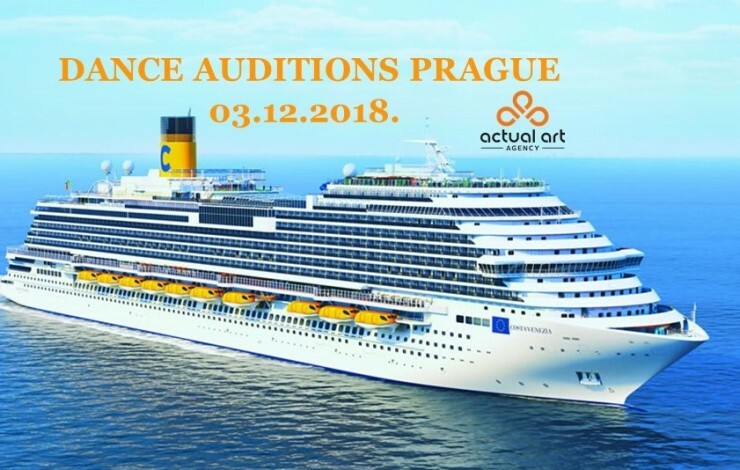 ﻿ Actual Art Agency / Productions » DANCE AUDITIONS PRAGUE! 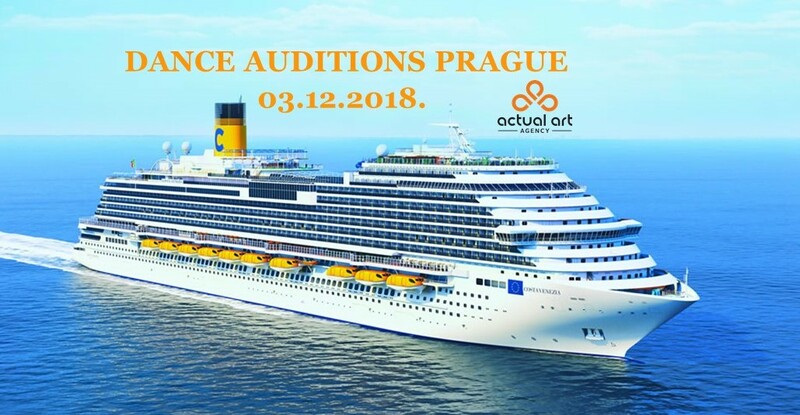 One of the largest European Cruise Ship Company, Costa Crociere is here again to hold audition in Prague for dancers, organized by Actual art Agency! Be there at least 30 minutes earlier for registration! 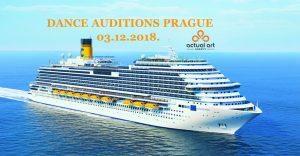 Actual art Agency and Production is seeking seasoned versatiled, technically trained, professional dancers ages 18-35 for 6 months cruise ship contract on various ships. Classical training (ballet or jazz) is necessary. Good performance ability is a plus. Our choreographer will teach two challenging combinations of contrasting styles at the auditions. Do not wear baggy clothes. Proper dance attire that best shows your figure is required. Ladies make sure to bring your heels. Please be sure to bring your current headshot and English resume. If you have any speciality skills such as aerial or tumbling is a plus, and make sure you show it at the end of the audition. • More information about the contract, itinerary and payment information will be provided directly after successful audition.